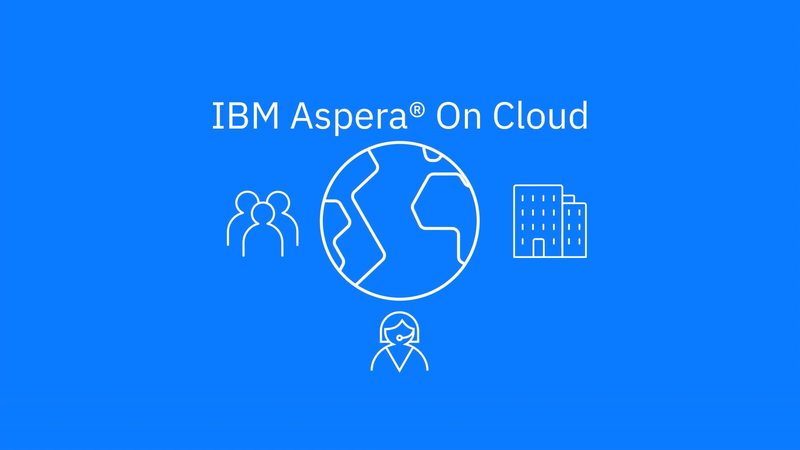 IBM Aspera® on Cloud is a hosted service to quickly and reliably move and share your files and data sets of any size and type across a hybrid cloud environment — up to hundreds of times faster than FTP and HTTP. 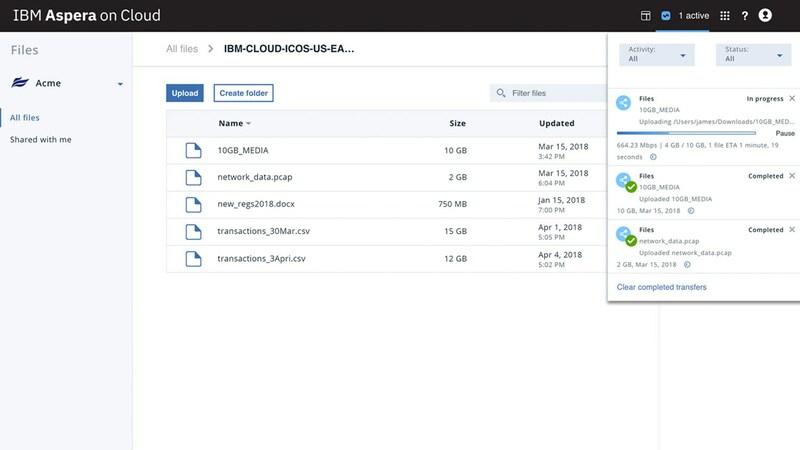 Seamlessly access data stored across multiple clouds and on-premises data centers. Move files of any size and volume over any distance at maximum speed, regardless of network conditions. 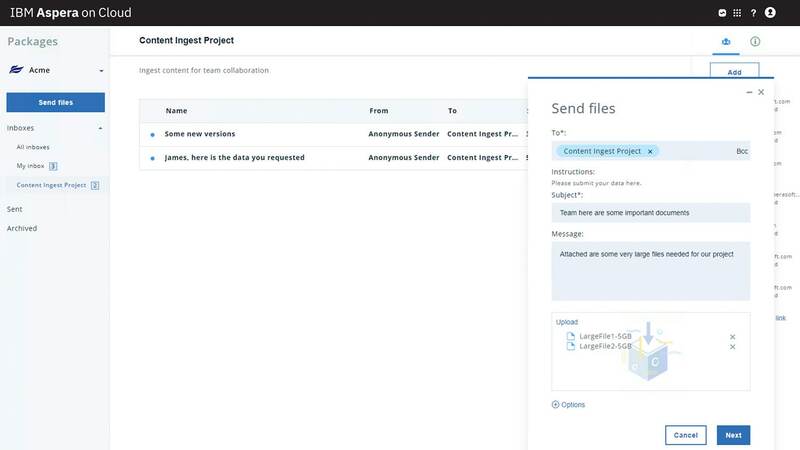 Collaborate with internal and external users, while controlling access to your data. Reinvent the modern financial institution by enabling big data analytics, batch processing and insurance claims and appraisals from the field. Accelerate global engineering and design processes through high-speed sharing of design files, source code synchronization and ingest into predictive analytics tools. Offer better in-store experiences involving rich digital media that’s been electronically delivered to stores. Refine the customer experience based on insights from customer data. Accelerate breakthroughs in research and medicine by helping distributed teams collaborate on large genomic data and medical images. 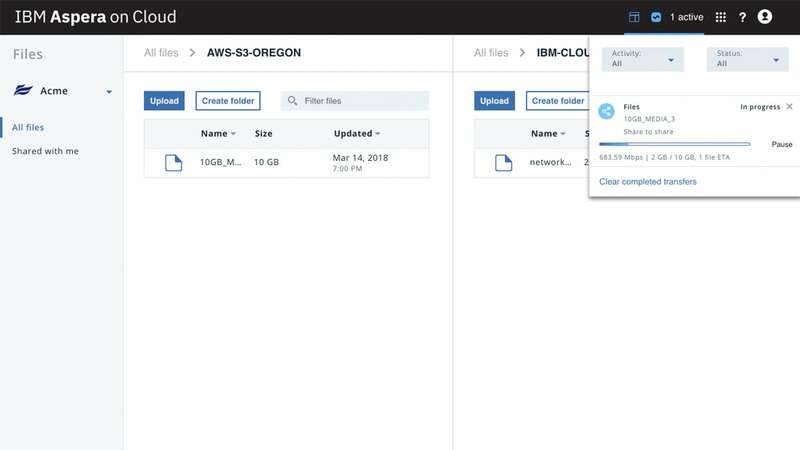 Transform content production and delivery by leveraging digital file- and stream-based workflows that span cloud and on-premises infrastructures. 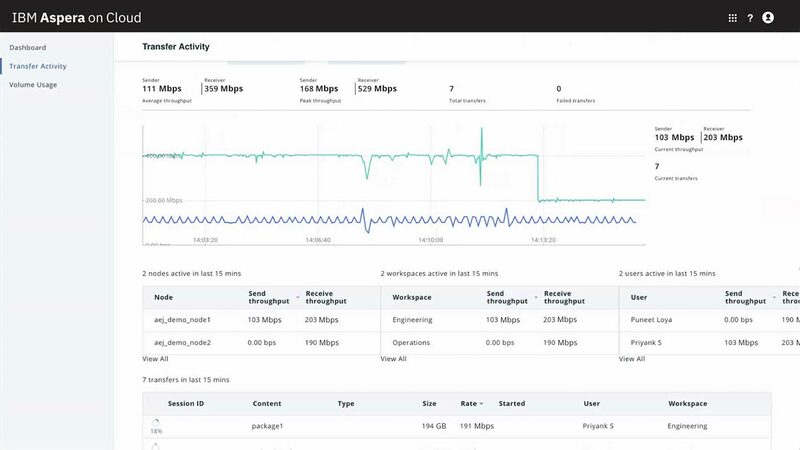 Provide more cost-effective detection and tapping of new energy sources with faster capture and high-performance computing (HPC) analysis of remote seismic data.